1. Turn off the power to the furnace. Whenever you’re doing maintenance work on your furnace you’ll want to be sure that the power has been turned off first. Simply hit the switch on the side of the furnace or turn off the power at the circuit breaker. 2. 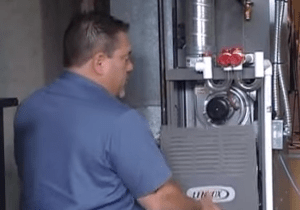 Open up the front panel on your furnace. 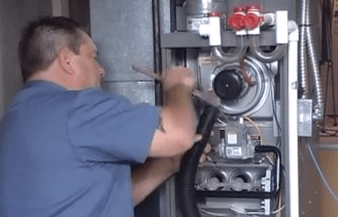 The front plate on most modern furnaces will simply lift up and out of place, but if you have an older model the panel might be held in by screws. If yours is the later be sure to have a screwdriver on hand in order to remove the screws. Once they’re out all you have to do is gently lift up on the front plate. 3. 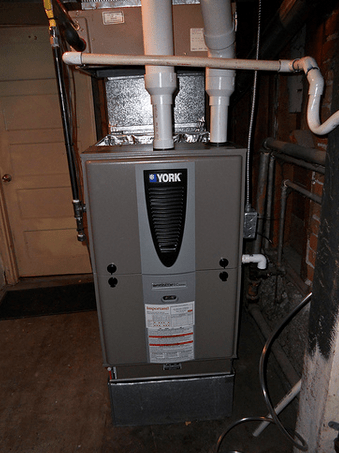 Lightly dust the motor and internal components of your furnace. Take your brush and gently wipe down all the internal components of the furnace. Make sure to be gentle while dusting around any electrical connections or wires. Dislodging them will cause the furnace to function improperly and could be very costly to repair. After you’ve dusted the internal components of your furnace, take your vacuum and clean up any dust that came free during the cleaning. 4. Replace the front panel of the furnace. Gently put the front panel back in place (and secure it with screws if needed). 5. Turn the furnace back on. Now turn your furnace back on and you’re all set. While you may not notice a significant drop in your energy bills from performing this simple task, you will help to keep the system as clean as possible. Which will only help it to run more efficiently. If you’re looking for more ways to make your home energy efficient, be sure to check out our green home improvement projects. Green Living Ideas, after all, is a top 20 home improvement website! Photo courtesy of the Flickr Creative Commons.